Having written all of half a dozen blog posts in a handful of months, it might seem likely a less than timely time to write about how to make one’s writing effortless, but maybe this is a kind of reverse serendipity—for right now effortless writing is just what I need. Writing doesn’t have to be hard; in fact it can be as easy and natural as spoken conversation. All writers struggle in the beginning to develop creativity and flow; use the following seven tips to sharpen your talent and reach your goals. Carry a notebook with you at all times; when inspiration hits, seize it and your notebook with both hands. All writers recommend carrying a notebook; use it for the surreptitious jotting of thoughts when and where ever they might appear. 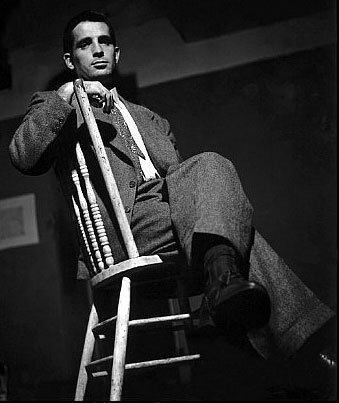 Jack Kerouac, foremost writer of the Beat movement of the 50’s and ’60s—a moniker and eminence he was deeply uncomfortable with—carried one everywhere, forever sketching poetry and novels to be in the most unlikely of places—”Scribbled secret notebooks, and wild typewritten pages, for yr own joy” in his words. Likewise Walt Whitman, 19th Century ‘Father of American Poetry’ and inspiration to Kerouac, who went one step further and carried an entire manuscript, a paperweight sized bundle that would one day be his Leaves of Grass. Funnily enough, this oft revised and reworked masterpiece was the cause of Whitman’s dismissal from at least one job—fired from the Department of the Interior by an enraged employer upon closer inspection of the ‘paperwork’ on his desk. 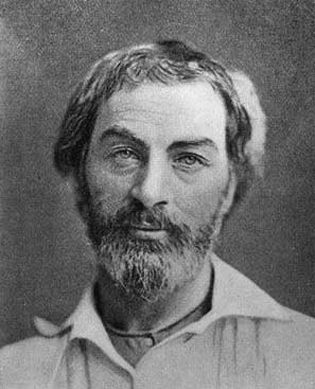 Which suggests that some places are better to write in than others, although in Whitman’s defence, most writers can relate to the truth that inspiration may strike in the most unexpected places. Writing is a good habit which can benefit from a little encouragement. To this ends, many writers recommend a specific place to write, almost like a meditation shrine, dedicated to this solo, inspirational practise. For some a specific time of day is conducive—a daily regimen just like eating, sleeping and exercise. Creativity can wax and wane like the passage of the moon; take time and place of writing as two aids to assist obstructing clouds to part. Make an attempt to write every day, without thought or judgment for the quality you produce. Writing is like a creative flow; it will not begin if you do not turn on the tap. One method is to write like a river bursting its dam, words spilling over onto the paper before you. Follow the rivers’ flow as far as you can, and in time the distance you travel will grow. Look not at this metaphorical river’s banks or rocks ahead of you; flow forth like water, always moving. Writing can be like the act of meditation itself, a secret known to centuries of haiku poets who were also meditators, and practised it as such. Write regularly, in silence and with one-pointed focus to achieve your goal. Furthermore, the discipline of regular practise, as in meditation, encourages an ever deepening flow of creativity, and a more fruitful, productive experience. Suspend judgment during a first draft, even if your mind screams that you are writing poorly. More important is to write, write, write; regardless of quality let the words pour upon the page—revising and polishing are for a later date. The editing process is a different mindset from that of writing, which requires creativity to flow directed but unimpeded; for the sake of creativity leave this more critical part of your being to one side. It is not without reason that professional writing seldom sees the occupations of writer and editor in a single person. Running, and exercise in general, will actually help your writing. Meditation teacher Sri Chinmoy calls running meditation for the body; it clears the mind and purifies the emotions in the manner of a breath of fresh air, dispersing anger and depression as though clouds in the sky. Negative qualities are an anathema to creativity—it’s total polar opposite; take physical exercise as a simple tool to clear the road ahead when you are writing. It also makes a good time out. Writing is like running in a sense; the hardest part is getting under way, but once started a momentum is built which will carry you along. Surrender to this and your writing may one day become effortless.